Escaping the busy hustle of town, picturesque Moke Lake is quiet and serene. 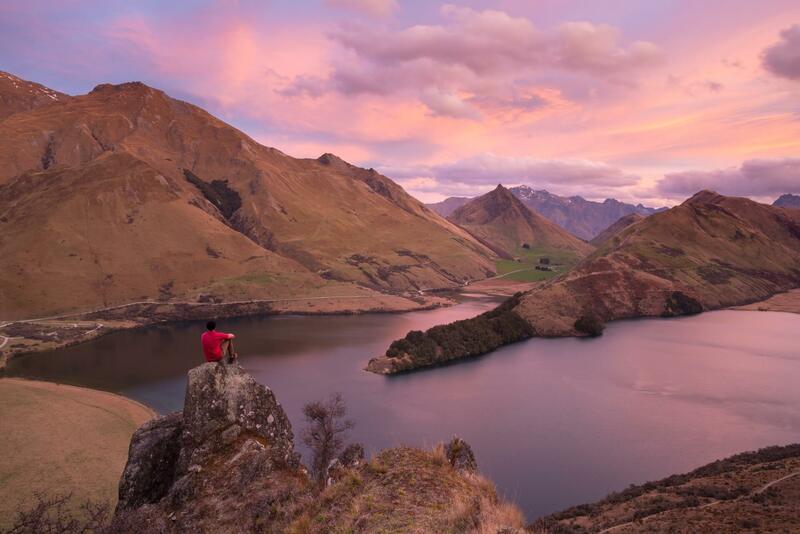 Bring a lunch, relax, and enjoy New Zealand farmland. Moke Lake and Lake Dispute Trail loop is a highcountry farm ride across sheep tracks, 4wd roads and Doc walking trails, descending into Phoenix Mtb trail ending at 7 Mile. Avoid the 2 hour climb up a gravel road – Queenstown Bike Taxis can drop you at top and you can enjoy a fun gradual descent, into the flowy Phoenix track.